Heinrich Böll - Kampot Writers Festival 2017 "Courage" Kampot Writers Festival 2017 "Courage"
Creator: Private. All rights reserved. Heinrich Böll was one of the most significant writers of the post-war years. In this chronicle we remind of his life, his writings and political interventions. His courageous and unerring intervention influenced political culture in Germany. 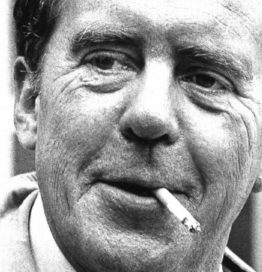 Throughout his life, Heinrich Böll transcended ideological boundaries in his committed support of persecuted colleagues, civil rights activists, and political prisoners; this once earned him the mocking title of “Warden of the Dissident Wayfarers” in an East German magazine. On 30 January, 1933 Hitler is appointed Chancellor and Nazi terror spreads in Cologne, too. The Böll family discusses political events frequently and openly. On Hitler’s election, Heinrich’s mother says, “This means war!” Dated manuscripts in Böll’s literary estate such as short stories and poems show that he started writing in 1936. 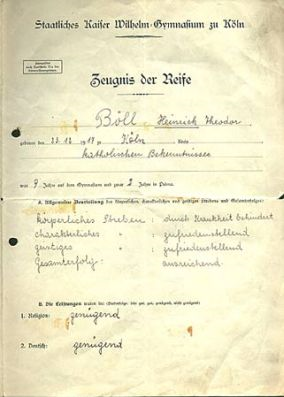 Böll is called up for “Reich Labour Service” (Reichsarbeitsdienst). Initial works are novels such as the unpublished “Kreuz ohne Liebe” (Cross Without Love) and “Der Engel schwieg” (The Silent Angel), published posthumously in 1992, as well as numerous short stories, fragmentary plays, essays and poems. Many of these works draw upon his experience of the Nazi era, the war, and the post-war period. In March, Böll submits his first short stories to magazines and newspapers. On 3 May one of them, “Vor der Eskaladierwand” (Before the Escalading Wall), is published, much abridged, in the Rheinischer Merkur newspaper under the title “Aus der Vorzeit” (From Pre-Historic Times). Böll’s son Raimund born. Böll’s first publishing contract; publication of “Der Zug war pünktlich” (The Train was on Time). The family is in financial straits as fees from publications are insufficient. Böll seeks a staff position in radio or publishing and thinks of giving up writing. Son Vincent born. For the 1950 census, Böll takes a temporary job with the Cologne city government. A volume of short stories is published “Wanderer, kommst Du nach Spa…” (Stranger, Bear Word to the Spartans We…). Böll is invited to a meeting of West Germany’s most important literary forum, Gruppe 47, and is awarded their prize for the short story “Black Sheep”. Publication of the novel “Adam, Where Art Thou?”. Heinrich Böll’s work focuses increasingly on the current problems of the Federal Republic. He writes essays about the political situation, suggesting that moral standards are increasingly being sacrificed to economic, social and political concerns. The short story collection “Murke’s Collected Silences” published. After the building of the Berlin Wall on 13 August a heated controversy erupts over the role of writers as “the conscience of a nation”. Together with 22 other authors, Böll appeals to the UN to move their headquarters to Berlin – East as well as West. Publication of the two stories “When the War Broke Out” and “When the War was Over”. Böll’s first trip to the Soviet Union. The novel “The Clown” is published. Böll writes increasingly more essays and journalism on contemporary moral and political questions. Publication of the programmatic story “Absent Without Leave”. Publication of the novella “End of a Mission”. 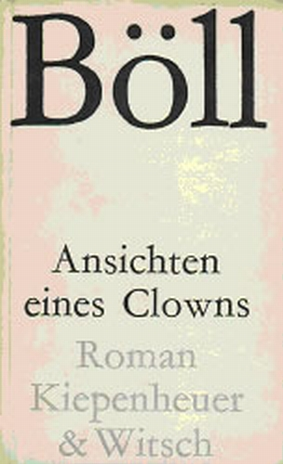 Böll is awarded Germany’s most prestigious literary award, the Georg-Büchner-Preis. He is taken seriously ill with hepatitis and diabetes. In May, Böll addresses some 70,000 demonstrators in Bonn during a rally against the passing of new emergency laws. The Czech Authors’ Association invites Böll along with Aragon and Sartre to visit Czechoslovakia. In August, Böll travels to Prague where he witnesses the country’s invasion by Warsaw Pact troops, bringing to an end Dubcek’s attempt at democratisation. At the inaugural meeting of the Association of German Writers (VS) Böll delivers a speech on “The End of Modesty”. The new West German government lead by Willy Brandt raises Böll’s hope that West Germany will enter a new political phase with policies that put a greater emphasis on ethics, especially regarding relations with Eastern Europe. During the 1972 elections he comes out in support of the Social Democrats. The political situation in West Germany becomes increasingly tense as a result of the emergent left-wing terrorism and the government’s overreaction to it. Many conservative politicians and newspapers denounce Böll along with other left-leaning and liberal intellectuals as “foster-fathers of terrorism”. Böll is elected president of West Germany’s PEN. 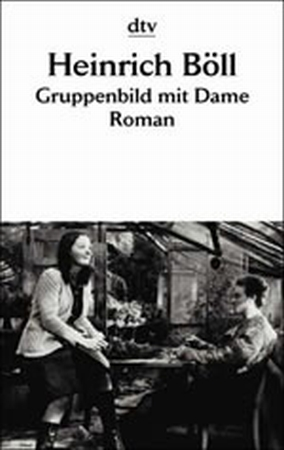 Publication of the novel “Group Portrait with Lady”. At the 38th meeting of the International PEN Club in Dublin, Böll is elected president. He organises a public campaign appealing to the US government to drop proceedings against civil rights activist Angela Davis. Böll comes out in support for the newly created humanitarian organisation “A Ship for Vietnam” that is trying to rescue Vietnamese boat people. Böll’s first major autobiographical work is published, “What’s to Become of the Boy?” On 10 October, Böll addresses up to 300,000 people at a peace rally in Bonn, protesting NATO’s decision to deploy a greater number of nuclear weapons in West Germany. Böll campaigns against the conditions in Poland, following the military coup there. 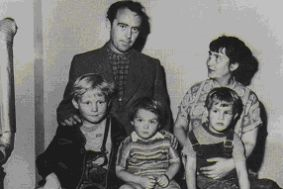 The Böll family moves to Merten, near Cologne; Böll’s son Raimund dies. Böll is awarded the honorary citizenship of Cologne. In an open letter to the Soviet authorities, Böll demands the release of Andrei Sakharov. Together with other writers he campaigns against the US government’s attempts to overthrow the Sandinista government of Nicaragua. Despite poor health, Böll takes part in the blockade of US barracks in Germany in protest against NATO’s plans to deploy additional nuclear missiles. 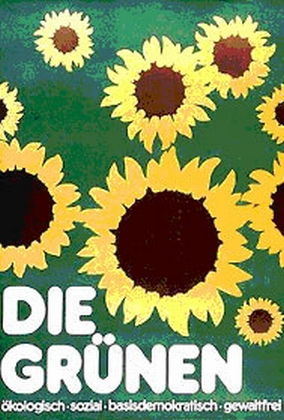 During West Germany’s federal election campaign, Böll comes out in support of the Green Party. The French minister for culture, Jack Lang, makes Heinrich Böll a “Commandeur” in the “Ordre des Arts et des Lettres”. Böll is awarded the Danish Jens Bjørneboe Price and donates the price money to the organisation “A Ship for Vietnam”. On the 40th anniversary of the capitulation of the Wehrmacht, Böll’s “Letter to my Sons – or Four Bicycles” is published. Publication of his last novel “Women in a River Landscape”. In early July, Böll has to undergo renewed surgery. He is released from hospital on 15 July, knowing that he will have to have more surgery. On the morning of 16 July Böll dies in his house in Langenbroich (Eifel). He is buried on 19 July in Bornheim-Merten near Cologne.